Earthquake of magnitude 8.9 and then a tsunami was itself such a big disaster but story didn’t end there. While relief work and the work of evacuation is going on for the people affected by tsunami, there is one more thing which has grasped the attention of media in Japan, blast in quake hit nuclear reactors and leakage of nuclear radiation. There has been a minute level of radiation detected in the air of Japan. Aid workers and ships who were there helping the tsunami victims are now moving away from the region to avoid any possible damage by the radiations. Japanese Authorities have asked IAEA (International Atomic Energy Agency) to help them in this crisis. 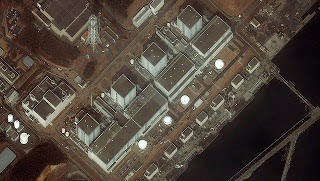 Though possibility of another Chernobyl and Three Mile Island is not much as stated by Japanese and international specialists, but Japan acknowledge it has a disaster. In the nuclear disaster rating on frame from 0-7, if Chernobyl is rated 7, and Three Mile Island incident is rated as 5, Japan nuclear reactor explosion and leakage has been rated as 4, lesser than the other two, but still too much for the common man.